Major General (retired) Doron Almog today spent some time ‘airside’ at Heathrow airport before taking a return flight to Israel. He had learned that he was facing arrest by British police after a decision on 10th September 2005 by Chief London Magistrate Timothy Workman to issue a warrant for his arrest on suspicion of committing a grave breach of the Fourth Geneva Convention 1949 which is a criminal offence in the UK under the Geneva Conventions Act 1957. (The alleged offence was committed as part of Israel’s belligerent occupation of the Occupied Palestinian Territory). The decision to apply to the court for an arrest warrant was taken against the background of a series of meetings with the War Crimes Unit of the Metropolitan Police. Hickman & Rose, on behalf of PCHR and the clients in these cases, provided the police with a considerable volume of evidence in relation to this suspect. The police were unable to take a decision about the arrest or prosecution of the suspect before his planned visit to Birmingham on Sunday, 11th September. Consequently, acting on behalf of the victims, Hickman & Rose and PCHR pursued the suspect through the judicial system, in the hope that he could be arrested before fleeing the UK. 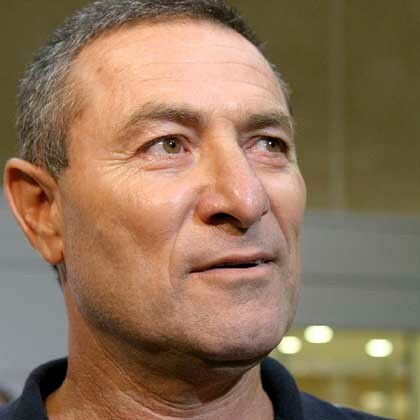 Doron Almog is a 54 year old Israeli national who was GOC Southern Commander of the Israeli military from 8th December 2000 to 7th July 2003. Under his command the Israeli military were responsible for a countless variety of extensive human rights violations inside the Occupied Palestinian Territories. The pursuit of war criminals and the prosecution of those responsible for war crimes is a long-term strategy designed to combat the culture of impunity which is endemic inside the Israeli military, judicial and political system. PCHR and Hickman & Rose remain hopeful that such cases will eventually be heard in an open and fair trial system which applies international standards as this has not been available through the Israeli judicial system. PCHR anticipates that this decision will open the door for the issue of further arrest warrants, and hopefully arrests and prosecutions of suspected war criminals in the UK and in other jurisdictions. Timothy Workman is also sometimes described as Senior District Judge. One day after Doron Almog escaped arrest by British Anti-Terrorist Police, details have emerged about an apparent leak which allowed him to return to Israel without facing the allegations brought against him. The clients of PCHR and Hickman & Rose, who are the victims of Doron Almog’s alleged war crimes, believe that anyone responsible for facilitating the escape of this war crimes suspect must also be brought to justice. This action is essential to protect the integrity of the British criminal justice system. On 10th September 2005, following an application made by Hickman & Rose and PCHR on behalf of victims of alleged grave breaches in the Gaza Strip, a warrant was issued by Bow Street Magistrates’s Court for the immediate arrest of Major General (reserve) Doron Almog. The matter was then placed in the hands of the anti-terrorist and war crimes unit of the Metropolitan Police Service (MPS). On 11th September, according to reports in Israel and the UK, Doron Almog evaded arrest at Heathrow airport by staying on the airplane that landed there that afternoon and returning to Israel on the same aircraft. PCHR and Hickman & Rose have reason to believe that a number of leaks occurred which allowed Doron Almog to evade arrest and return to Israel hours after he had landed in the UK. Media reports and independent reports received by Hickman & Rose and PCHR also indicate that senior Israeli diplomatic and military officials were provided with access to the El-Al flight in order to warn Doron Almog that police were waiting to arrest him at Heathrow airport. – recall to Israel the Israeli Ambassador and/or relevant Military Attache and/or any other relevant officials. 3. A full investigation by the relevant authorities to establish why the police did not board the plane to arrest the suspect and whether (and if so why) senior officials from the Israeli embassy were given access to the suspect. apply pressure on the relevant UK authorities to ensure that Doron Almog and any of his associates who were responsible for perverting the course of justice are prosecuted in the UK. If officials have assisted Doron Almog to escape British justice this must fall outside their diplomatic role in the UK. 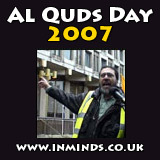 Also on 12 September 2005, Amnesty International issued a press release in which it deplored the failure of the United Kingdom authorities to arrest Israeli army General Doron Almog when he arrived at London’s Heathrow airport, describing this as a clear violation of the UK‘s obligations under both national and international law. The organization is now calling on the UK authorities to urge Interpol to circulate the arrest warrant and on other states party to the Geneva Conventions to cooperate with the UK in carrying out the arrest and handing over General Almog to the UK‘s court. Amnesty International today deplored the failure of the United Kingdom (UK) authorities to arrest Israeli army General Doron Almog when he arrived at London’s Heathrow airport yesterday, describing this as a clear violation of the UK’s obligations under both national and international law. A warrant for the general’s arrest for alleged war crimes had been issued by an English court the previous day. The organization is now calling on the UK authorities to urge Interpol to circulate the arrest warrant and on other states party to the Geneva Conventions to cooperate with the UK in carrying out the arrest and handing over General Almog to the UK's court. General Almog, former head of the Israeli army's Southern Command, landed at London Heathrow airport on 11 September 2005 on a flight from Tel Aviv. However, he declined to disembark from the aircraft apparently after being informed that he could be arrested. Meanwhile, London's Metropolitan Police reportedly refused to enter the plane to effect the general's arrest and then allowed him to depart from the UK for Israel on the same El Al aircraft on which he had arrived. "The refusal to arrest a person suspected of war crimes is a clear violation both of the UK's unconditional obligations under the Fourth Geneva Convention and under national law," said Amnesty International, calling for the refusal to execute the arrest warrant to be investigated. It is difficult to believe that the police would have refused to arrest a person who had arrived in the UK on board an airliner if that person was wanted for drug-trafficking or security offences, simply because they had not passed through UK border controls, if that meant they would otherwise evade arrest. It is not known whether the information which alerted General Almog that he would be arrested was leaked by the UK authorities or by other sources. "The leak, whether deliberate or accidental, is a matter of serious concern and should be investigated, as it perverted the course of justice and undermined an investigation into war crimes," said the organization. The arrest warrant against General Almog was issued by the Chief London Magistrate on 10 September under the Geneva Conventions Act 1957, on the basis of suspicion of the suspect's involvement in the destruction by the Israeli army of 59 Palestinian homes in a refugee camp in Rafah, in the southern Gaza Strip on 10 January 2002. 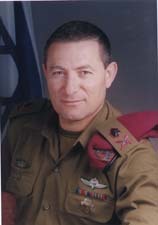 General Almog headed the Israeli army's Southern Command, an area that includes the Gaza Strip, between December 2000 and July 2003. The "extensive destruction...of property, not justified by military necessity and carried out unlawfully and wantonly" is a grave breach of the Fourth Geneva Convention (Article 147) and, as such, a war crime. The UK is "under the obligation to search for persons alleged to have committed, or to have ordered to be committed, such grave breaches, and shall bring such persons, regardless of their nationality, before its own courts" (Article 146). If it does not do so, it must hand such persons over for trial to another state party to the convention that is able and willing to do so. The Fourth Geneva Convention expressly forbids the UK from entering into any agreement with another state absolving itself of this obligation (Article 148). During the past five years, since the outbreak of the intifada (Palestinian uprising) in September 2000, the Israeli army has destroyed some 4,000 Palestinian homes in the Occupied Territories, about half of them in the Gaza Strip, as well as vast areas of cultivated land, commercial properties and public buildings, water and electricity networks, and other public infrastructure. In the vast majority of cases the destruction was not justified by military necessity and was carried out unlawfully and wantonly. The Israeli authorities have systematically failed to comply with Israel’s obligations under international law to investigate these and other human rights abuses and to bring to justice those responsible. The UK's obligations under the Fourth Geneva Convention have been given effect in domestic law via the Geneva Conventions Act 1957, which applies to: "Any person, whatever his nationality, who, whether in or outside the United Kingdom, commits, or aids, abets or procures the commission by any other person of, a grave breach of any of the scheduled conventions or the first protocol…”" [Article 1.-(1)]. Each state party to the Fourth Geneva Convention is obliged under Article 1 to "respect and ensure respect for" the Convention and should call upon Israel to open an immediate, thorough, prompt, independent and impartial investigation of the alleged grave breaches and, if there is sufficient admissible evidence, to prosecute. If Israel does not do so, each state party has the power to issue an arrest warrant under Article 146 and, if the suspect enters their territory, has the obligation to execute that arrest warrant. Since the outbreak of the Palestinian intifada (uprising) in September 2000, the Israeli army has killed more than 3,200 Palestinians, most of them unlawfully and including more than 600 children. In the same period, armed Palestinian groups have killed some 1,000 Israeli, most of them were civilians, including some 120 children, and were deliberately and unlawfully targeted. In addition, the Israeli army has carried out extensive destruction of Palestinian homes, land and other properties throughout the Occupied Territories and has continued to build and expand Israeli settlements (illegal under international law) in the West Bank and to construct a 600km fence/wall through the West Bank, cutting off Palestinian farmers from their land and further restricting the movement of Palestinians between villages. Amnesty International has investigated a wide range of human rights abuses committed by both the Israeli and the Palestinian sides and has continued to call for all those responsible for human rights abuses, including war crimes and crimes against humanity, to be brought to justice and held accountable for their crimes. Emily Thornberry, MP for Islington South and Finsbury, today called for a full investigation into the botched arrest by the Metropolitan Police of Israeli Major General Doron Almog. General Almog faces trial in Britain for war crimes in contravention of the Fourth Geneva Convention, following the issuing of an arrest warrant by Chief London Magistrate Timothy Workman. He is accused of ordering the demolition of 59 Palestinian homes in the Gaza strip, as a means of retaliation. The Anti-Terrorist and War Crimes Unit allowed General Almog to escape to Israel following a tip-off from the Israeli Embassy in London. ‘The escape of General Almog from British justice is extremely worrying. We seem to have had the farcical situation of police officers waiting at the gate for the General to get off the plane, whilst officials from the Israeli Embassy slip past them onto the plane and advise him to flee! The integrity of British justice has been undermined and we need to know how and why. ‘It is widely thought that the Israeli security forces operate within a culture of impunity. Less than 5% of civilian deaths caused by Israeli military action are investigated at all. This was an opportunity to hold a very important figure to account. It seems to have been botched. We need to know why. Hickman and Rose Solicitors,[http://www.hickmanandrose.co.uk/] which is based in Islington South and Finsbury, acting on behalf of the Palestinian Centre for Human Rights, asked that Emily Thornberry raise the issue in Parliament and with the Government. Emily Thornberry is a member of the Chambers of Mike Mansfield QC and a former criminal defence lawyer. More information about the Palestinian Centre for Human Rights is available at http://www.pchrgaza.org . The ‘extensive destruction of property, not justified by military necessity and carried out unlawfully and wantonly’ is a breach of Article 147 of the Geneva Convention. In domestic law, the Geneva Conventions Act 1957 applies to “Any person, whatever his nationality, who, whether in or outside the United Kingdom, commits, or aids, abets or procures the commission by any other person of, a grave breach of any of the scheduled conventions or the first protocol” [Article 1.-(1)]. General Almog: ‘The operations, which have been very intensive, are basically concentrated in the Rafah area, the area from which the Hamas squad set out...As you pointed out, we demolished houses‘. These figures are contained in a report produced by Human Rights Watch (HRW). A press release and the full report can be accessed at http://hrw.org/english/docs/2005/06/22/isrlpa11148.htm . Islington North MP Jeremy Corbyn requests a meeting with Ministers regarding the flouting of a UK arrest warrant for Israeli General Doron Almog. The General flew in to Heathrow airport last Sunday (11th September) but whilst sitting on the plane he was met by Israeli officials who advised him to remain on the plane, which subsequently returned to Israel. The issue has been given a huge amount of press coverage in Israel yet just a couple of articles have appeared here, and the impact has the potential to be much bigger than the specific case of General Almog. The potential for a precedent being set wherein a perpetrator of war crimes is allowed to flout a UK arrest warrant is enormous. This is why the Islington North MP insists on having the government explain itself. As pointed out by Jeremy Corbyn, while the Almog incident received scant attention by the British media, it created a veritable storm in Israel, and got huge media coverage. The government and its supporters were dismayed. On 15 September the popular newspaper Yediot Aharonot reported in a front-page story that the former Chief of Staff of the Israeli armed forces, Gen Moshé Ya‘alon has cancelled his forthcoming visit to the UK for fear of being arrested. The paper reports, quoting a ‘senior source’ that the Almog incident created an atmosphere of hysteria in Israel’s military circles. No senior officer who has recently served in the [Palestinian] Occupied Territories can consider himself safe against arrest warrants abroad. They feel they are being watched. On the other hand, saner voices have also been heard. Radical Israeli journalists, such as Amira Hass and Gideon Spiro have come out in support of action abroad against Israeli officers suspected of war crimes, as has the human-rights Israeli lawyer Michael Sfard. The middle-brow Yediot Aharonot has published an interview with Daniel Machover, and its reporting on the case has been quite balanced. And on 14 September Ha’aretz, Israel’s most prestigious newspaper, carried the following editorial. The arrest warrant that awaited Major General (res.) Doron Almog in Great Britain, and similar arrest warrants that may await other senior officers like Dan Halutz and Moshe Ya‘alon, are not a diplomatic incident between Israel and Great Britain. Similar warrants could crop up in every country that has added the Geneva Convention to its body of laws – when a complaint is issued in these countries of a severe human rights violation, its legal authorities can try any person, even if they are not a citizen of that country and even if they carried out the alleged crimes in another country. According to the ruling of the Court of Appeals in The Hague, immunity from prosecution is extended only to presiding heads of state and foreign ministers. The countries of the free world have decided that because it is not always possible to depend on countries to try their own war criminals, punishment for serious crimes should pursue their perpetrators to any place they seek asylum. The universal authority other nations have taken on themselves has been applied with great enthusiasm in recent years, as a counterweight to the U.S. opposition to cooperation with the International War Crimes Tribunal. Thus in Switzerland and Germany, citizens from the former Yugoslavia were convicted for human rights violations in Bosnia, and Pakistani nationals were tried in Great Britain for crimes committed in Afghanistan. Tony Blair would probably have been happy to prevent the issuing of the arrest warrant against Almog, knowing that his officers stationed in Iraq might be subjected to similar treatment elsewhere in Europe. But in Great Britain, as in other democracies, law enforcement authorities operate independently. 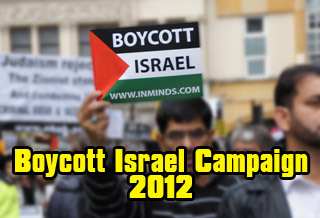 Supporters of the separation of powers cannot complain to the government of Great Britain for persecuting Israelis. The international wave of terror has changed the rules of the game, and many enlightened countries are taking measures that are not commensurate with the protection of human rights. This is not to say that countries, especially democracies, can do whatever they choose when it comes to the war on terror. Courts are meant to serve as moral barriers against the use of unreasonable means. However the courts in Israel turned their heads when asked to address the demolition of hundreds of houses in Gaza, the expropriation of private lands for the use of the occupying country, and the expulsion of 25,000 Palestinians from their homes in Hebron to expand the Jewish quarter. None of these constitutes valid means in the war on terror. The vacuum created by judges in Israel in dealing with these issues is what led to the appeal to the legal authorities in Europe. One can complain about the hypocrisy of legal authorities who are tough on Israel and easy on other countries. One can ascribe political and anti-Semitic motives to plaintiffs and judges. But it is hard to claim that our hands are clean. Every officer who carries out an order involving serious human rights violations must take into consideration that he will find himself in the dock. An unbalanced and disproportionate use of universal authority to bring individuals to trial may sometimes be excessive and unjust, but the abrogation of the option to pursue war criminals wherever they may be could bring the wheels of justice grinding to a halt.